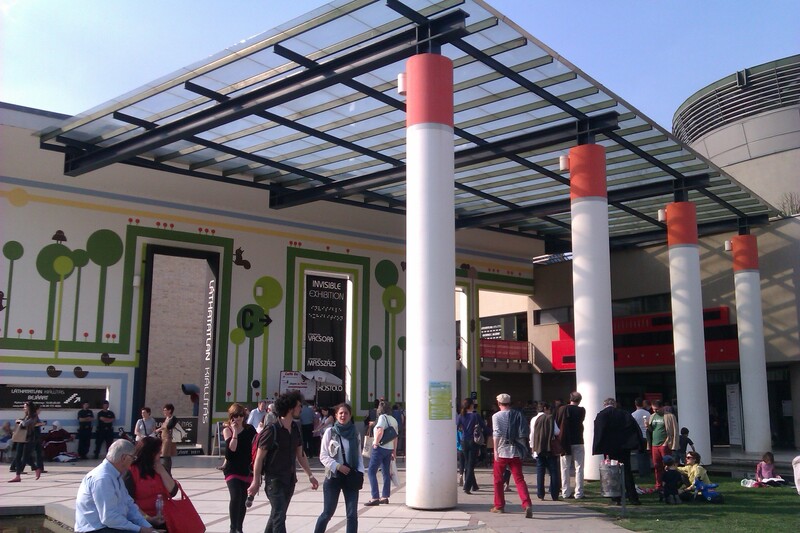 The 20th International Book Festival in Budapest was a great place to be last weekend. It was sunny, the food traditionally fat and yummy, the venue – Milenaris Park – exquisite, my fellow panelists sweet and inspiring. The guest of honor: Michel Houellebecq. I didn’t know he’d be there when I got invited to the European First Novel Festival, a sub-venue of the Book Fair. I arrived for the opening reception, and I sat there, leafing – somewhat flatly – through the impenetrable all-Hungarian catalogue* with the French star on the cover. The catfish paprikash got stuck in my throat when I spotted a very live Houellebecq at the buffet. I even got to chat with him a little, although chatting might be too strong a word for the awe-struck stutter I was able to produce. In any case, thank you, Konyvfesztival, for having me. I am very glad that I was part of it and that I got to know all the wonderful young authors from around Europe.